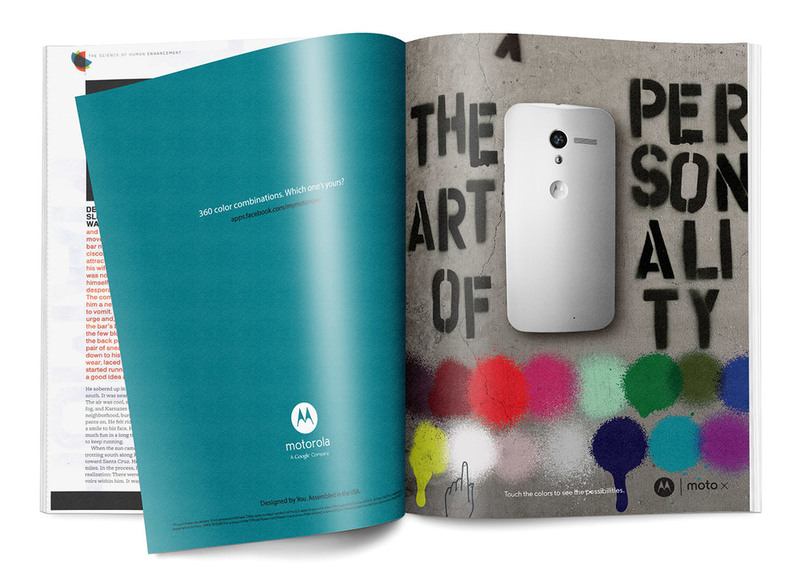 Motorola’s Moto X is one of industry’s most customizable phones, offering the ability to select from a large variety of color combinations to make the phone your very own. The spreads below are proposed designs for an interactive print ad that ran in the January 2014 issue of WIRED Magazine. A combination of LEDs, plexiglass and other techno-magic allows users to tap on colors to change the color of the phone. Though my design was not ultimately selected, it was fun to contribute to such an amazing project. You can see how the final piece turned out in the video below.